Lyz is a stunning geometric cage table lamp in polished copper with black fabric cable. Exclusively designed here at D&R, it will add a touch of glam sophistication to your side tables and cabinets. This light comes ready to plug-in. Check out our fully assembled and ready to go polished copper drop cage table lamp. An exclusively designed lamp that has been created with your interiors in mind. 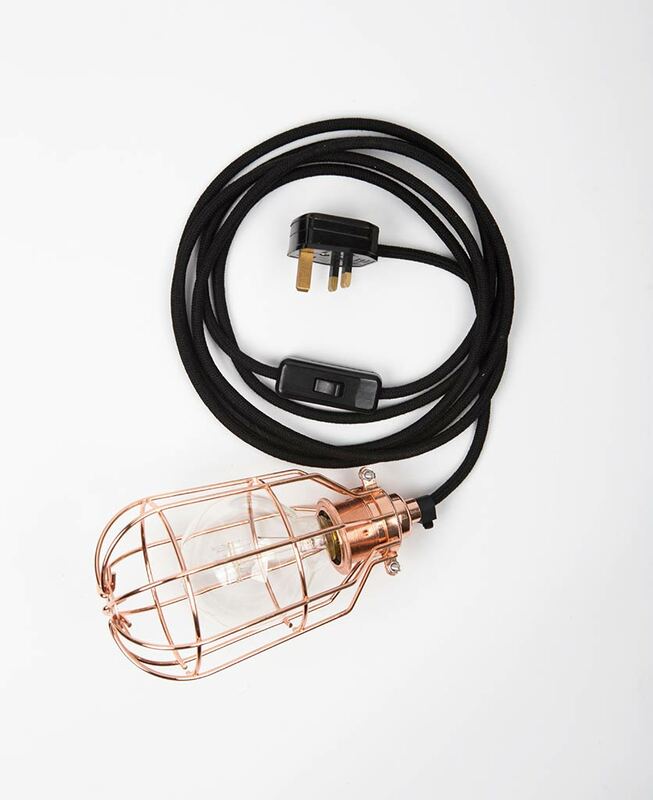 Featuring a gorgeous steel drop cage light shade finished in polished copper, with matching bulb holder and uber chic, matt black fabric cable, this versatile little lamp can be used as secondary lighting wherever you need a spot of extra ambient light. We love this polished copper table lamp placed on a coffee table in a living room, where its ambient light will create a really atmosphere. But this handy little lamp isn’t solely limited to tables. 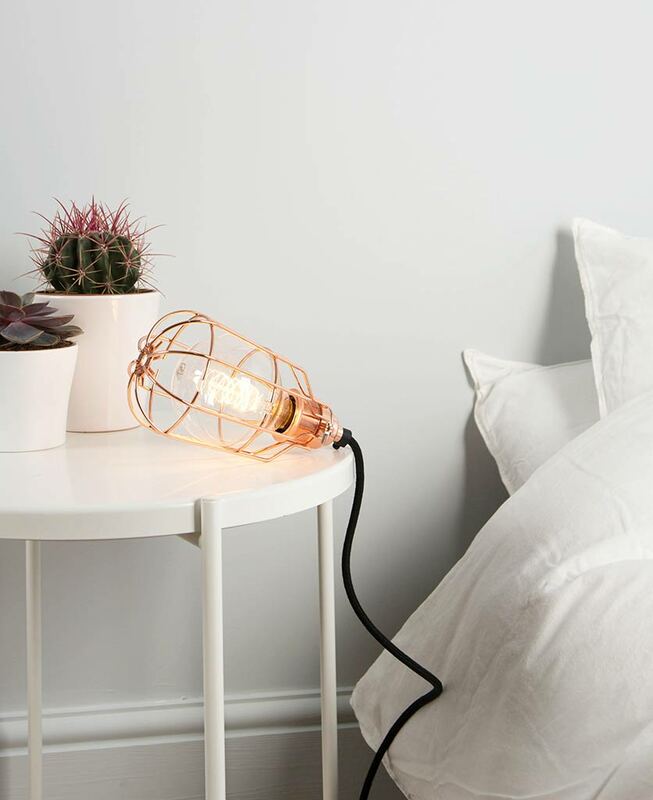 Add a hook to your wall and create a drop style wall light, or hang over your headboard to create a super-stylish bedside light. Polished copper is a finish that just works anywhere. Add a glam touch to minimalist interiors by showing off against matt white walls. Or, for something more feminine, place alongside blush pink or moody grey walls, throwing in some copper accessories to tie the look together. Stunning. Each lamp is fully assembled with cage light shade, a polished copper threaded E27 bulb holder, a 3m length of matt chalkboard black fabric cable, black inline switch, black 3 amp plug and a large globe spiral filament light bulb.